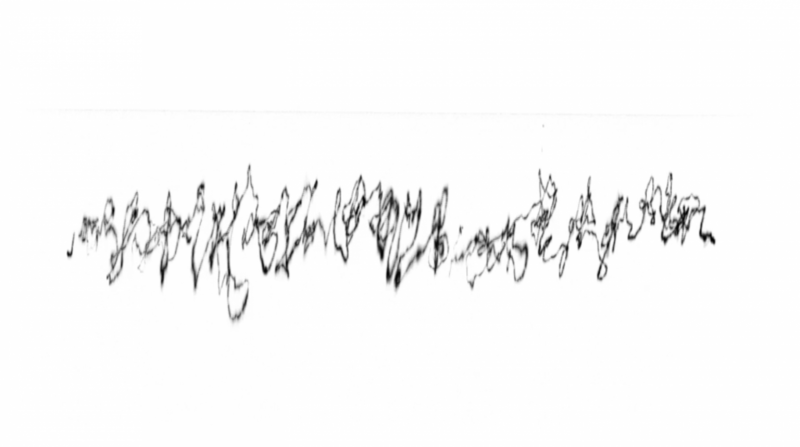 This project is a calligraphic representation of a voice. The result is a visualization of the physical and mechanical process of vocal production. The contractions and motions of the muscles are analogically projected to a 2D surface. 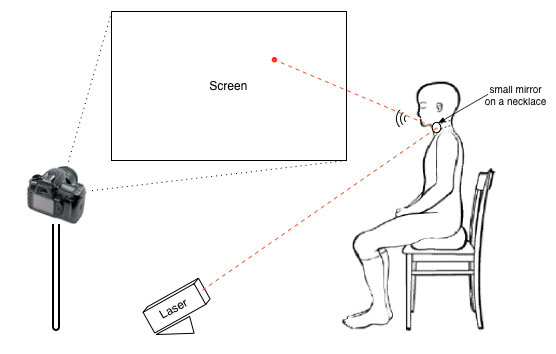 A small mirror is attached to the active parts of the user’s neck and the small rotation and motions of the mirror control the trajectory of a laser ray pointing at the mirror. 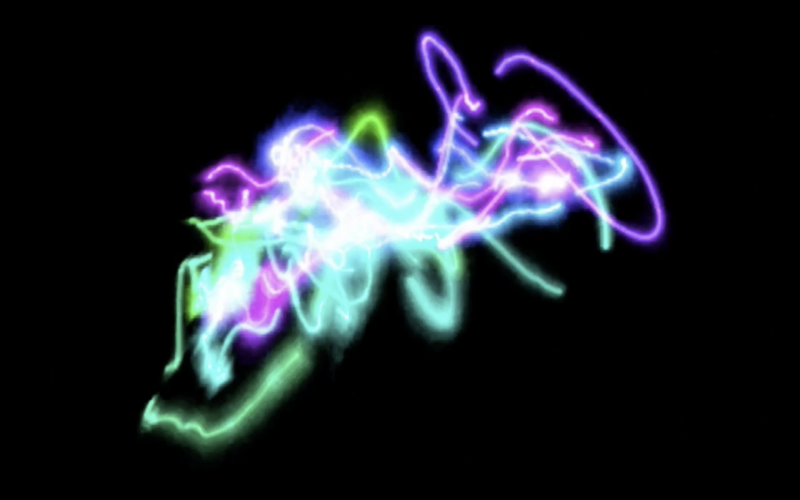 A camera captures the trajectory of the laser point and the video is then post-processed to obtain an effective visualization of the verbalization. The result reveals the elements of the person’s affective state, as it shows through in the muscular movement.